KARACHI: Shahid Afridi, former Pakistan skipper and one of the most popular cricketers around the world for his boom boom hitting, has saluted the foreign players for featuring in the Pakistan-leg matches of the HBL Pakistan Super League, saying they will always be credited for helping the PCB to revive international cricket in the country. 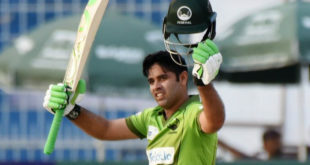 The 39-year-old, who played all his early cricket in Karachi and rose to international fame, represented Multan Sultans in the HBL PSL 2019. Afridi said all 41 foreign stars, as well as those before them who have come to Pakistan in the last three years, are real stars. The final will be held on 17 March. Afridi praised security personnel for putting up excellent arrangements. “The security arrangements are outstanding and I salute all those involved in providing high profile security and hope that all the foreign players will feel at home,” said Afridi.